Mt. 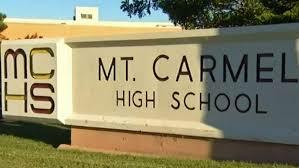 Carmel is a school of choice for PUSD students who submit a request to transfer (IDT). click here. If you live outside of PUSD's boundary (San Diego, Escondido etc.) and would like to attend Mt. Carmel, click here. Transfer decisions are made at the PUSD Attendance Office. We have no control, prior knowledge or influence over district decisions.